Our most important news here at B.B.C. is the “good news, ” the Gospel of the Lord Jesus Christ: that “God so loved the world that He gave His only begotten Son, that whosoever believeth in Him should not perish, but have everlasting life.” We’re thankful that God loves each one of us and that He offers to us the free gift of forgiveness for our sin and of eternal life to be spent with Him in Heaven. And this gift can be received by simply calling upon the Lord Jesus Christ, believing that He died to pay the debt of our sin, that He was buried, and that He arose from the dead on the third day. Once the matter of our salvation is settled, there is a wonderful experience of Christian learning and growth awaiting us. 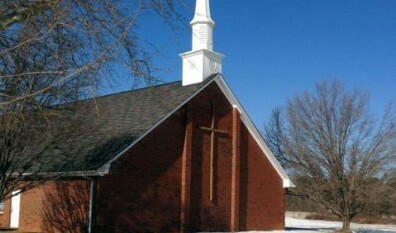 This is where Sunday School, Sunday services, midweek Bible studies, etc. with our church come in as great helps. Also, we have numerous ways to be involved in Christian service. Bible Baptist Church is an independent Baptist church in Monroe, Georgia. The pastor’s name is Greg Butler. The church is located in Walton County, Georgia. This church has no publicly available Statement of Faith, and holds Traditional worship services. The following ministries are available: Kings Kids. They may be associated with these colleges and universities: Bob Jones University.